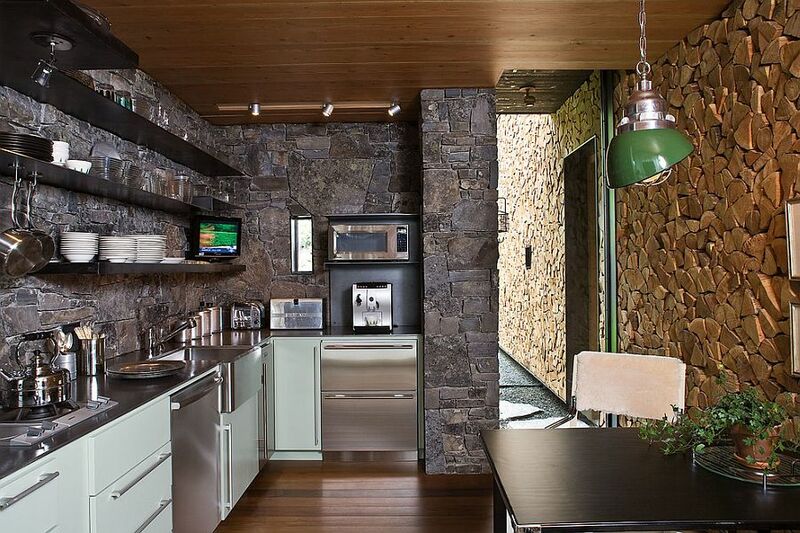 It is simply amazing how design and fashion are so cyclical, and how what is shunned as outdated quickly finds its way back to the top of the trends list. 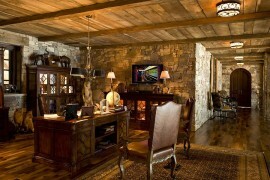 It is something we can attribute to basic human nature that detests monotony and craves constant change. 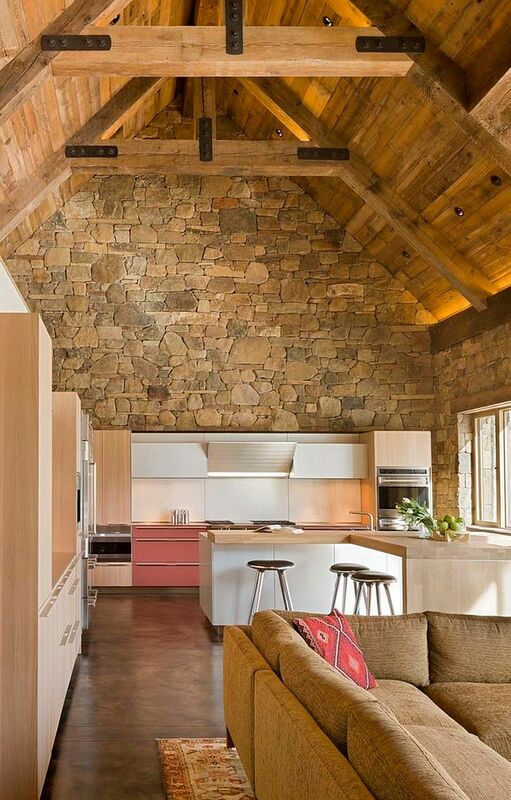 Stone walls fit into this category perfectly. 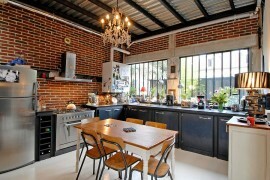 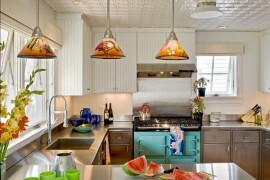 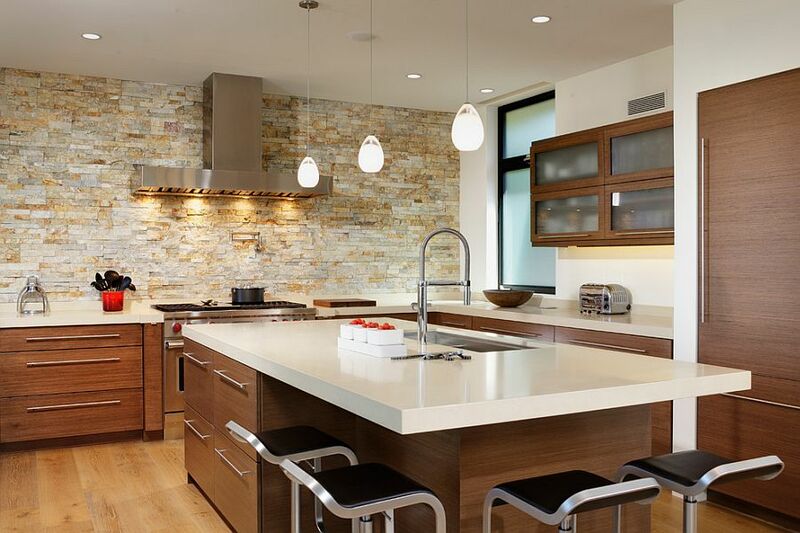 Not too long ago, it was polished surfaces and ultra-modern finishes that were hot. 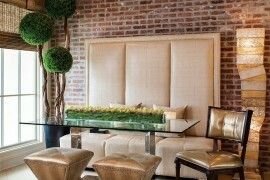 But now everyone wants to see textural contrast, beauty and originality. 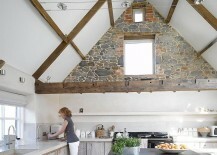 Barn renovations and industrial warehouse conversions are commonplace, and stone walls have moved from the outdoors and into stunning bathrooms and cozy bedrooms. 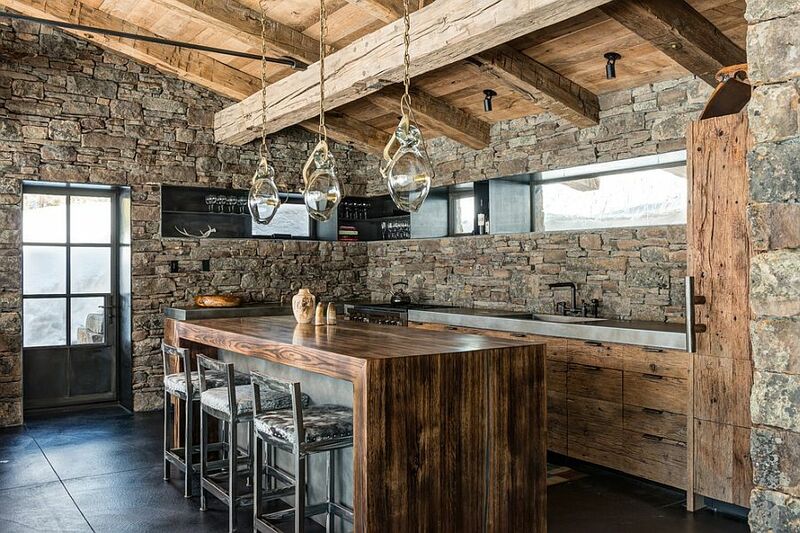 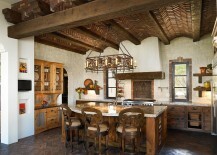 Today we flip through 30 gorgeous kitchens that revel in the rustic charm of stone walls while adapting effortlessly to combine modern ergonomics and diverse aesthetics. 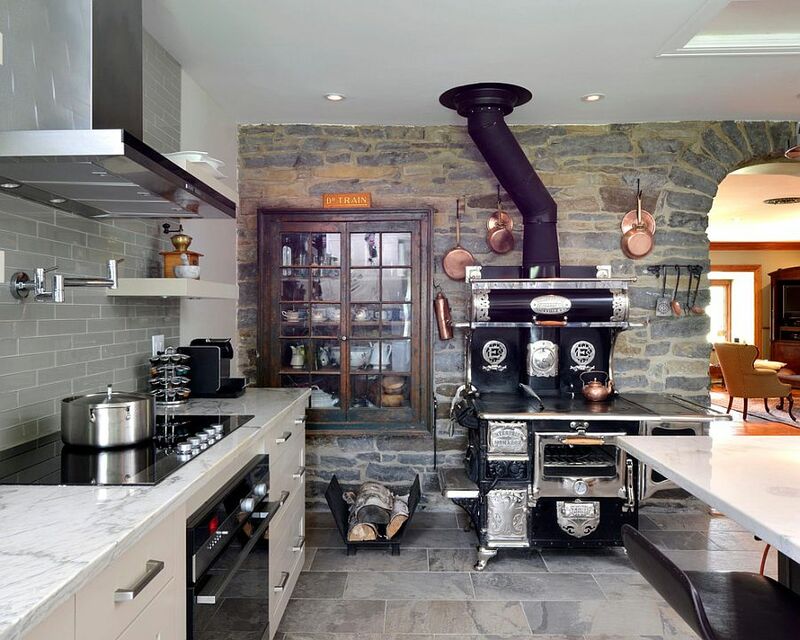 Neither style nor color scheme are a hindrance here, as imaginative designers have found ways to blend the stone wall with a variety of kitchens. 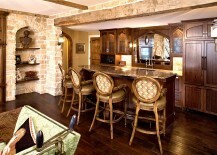 Put your feet up, grab a cup of your favorite beverage and enjoy! 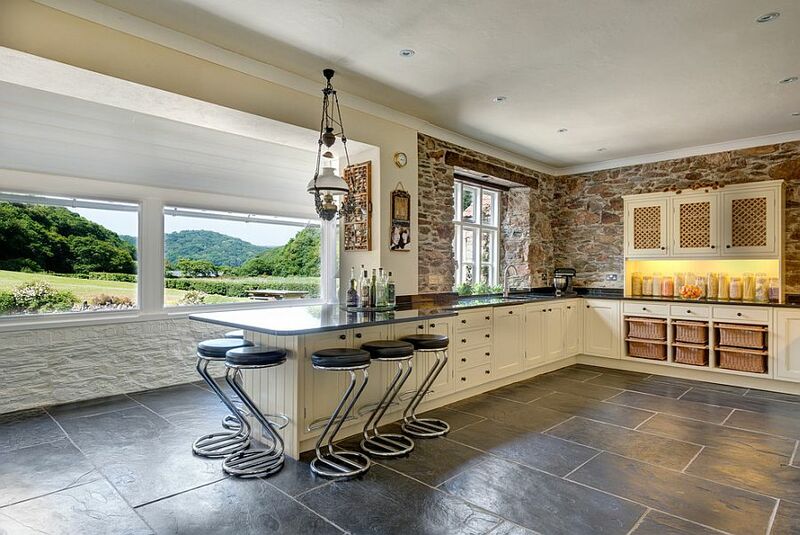 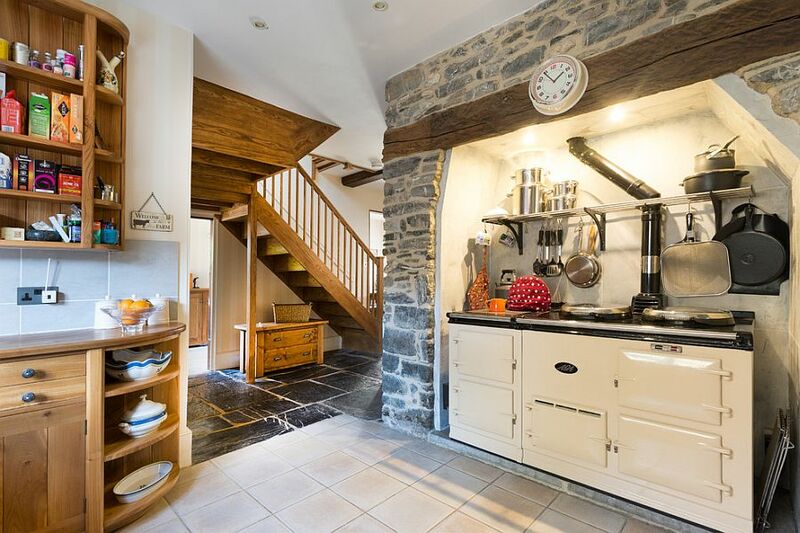 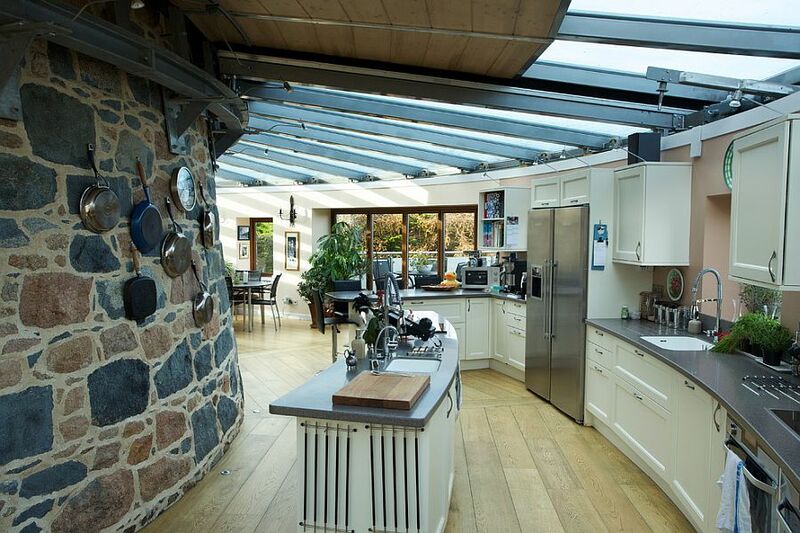 We start off with the most unlikely of candidates when it comes to kitchens with stone walls – those that go down the modern path. 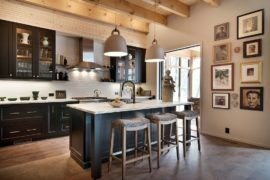 As unlikely as the combination seems, it is a fusion that turns heads and gives the more mundane kitchen a captivating focal point. 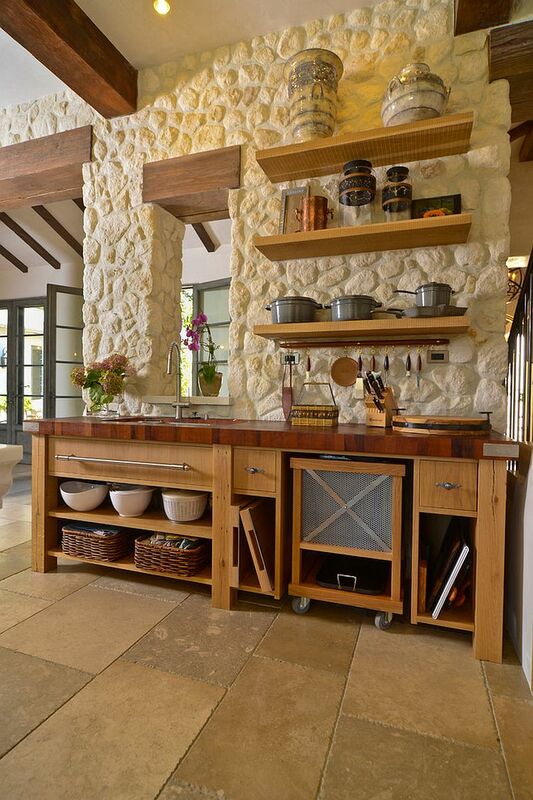 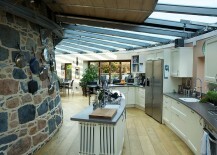 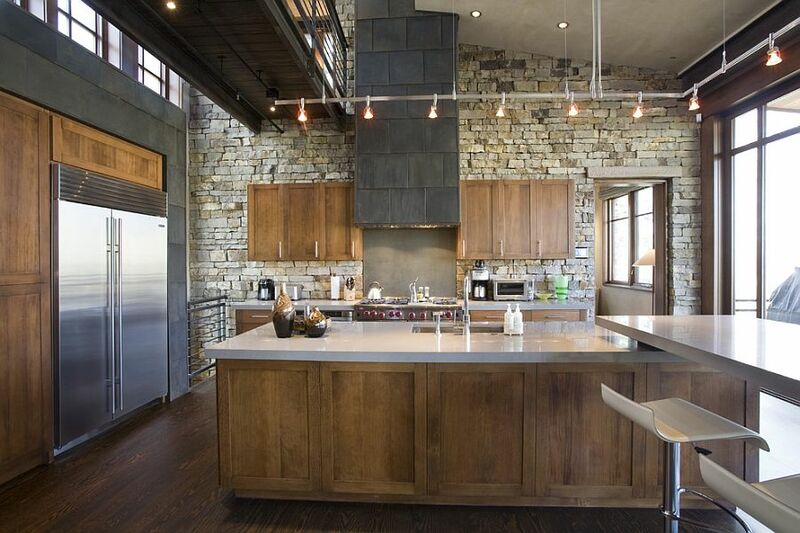 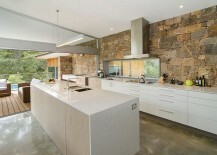 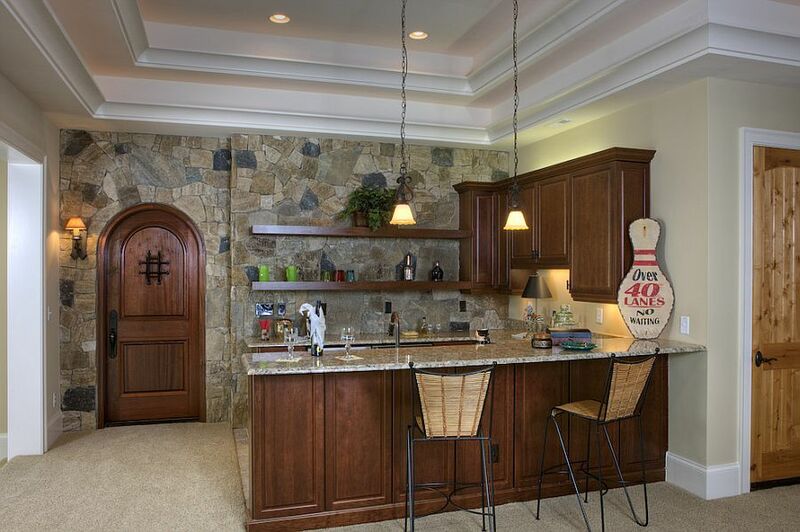 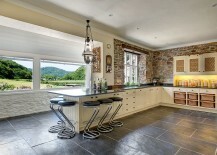 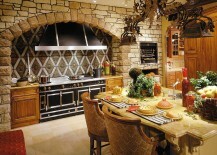 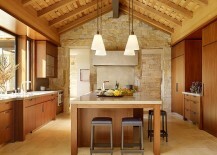 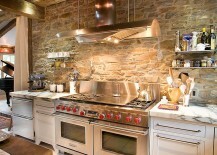 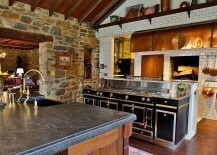 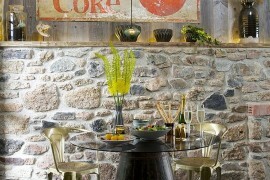 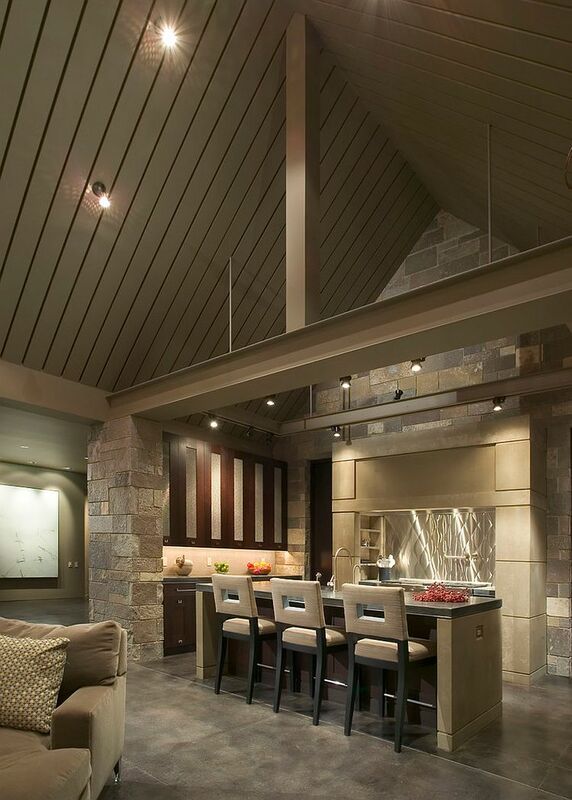 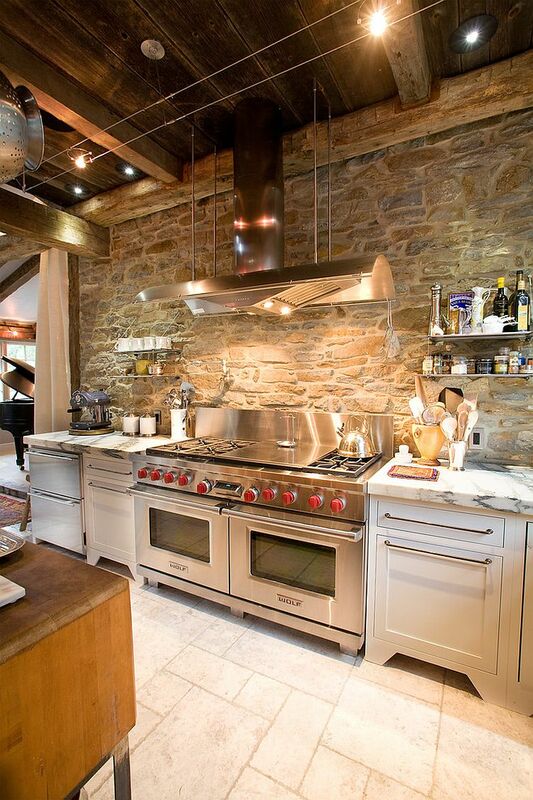 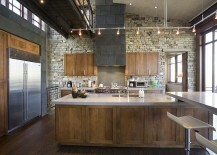 The stone wall in a contemporary kitchen can just be an accent feature that offers contrast in more ways than one. 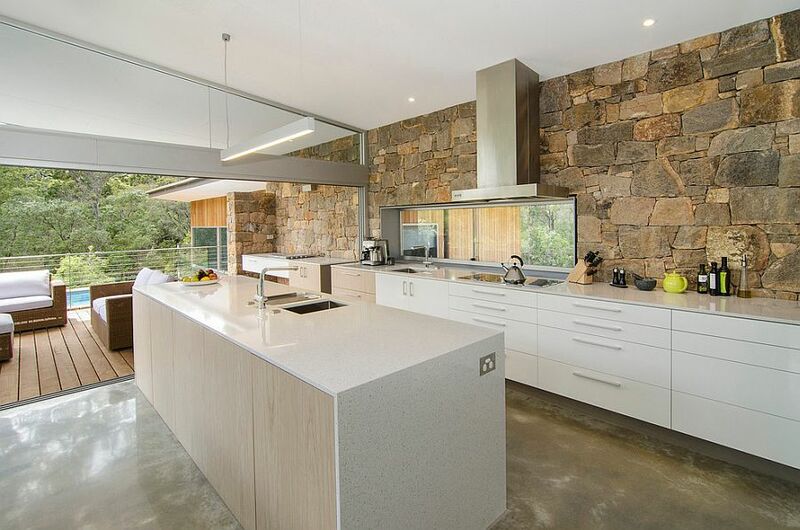 But turning a kitchen with existing stone walls into a modern masterpiece is equally achievable with the right kitchen island, smart cabinets and contemporary lighting. 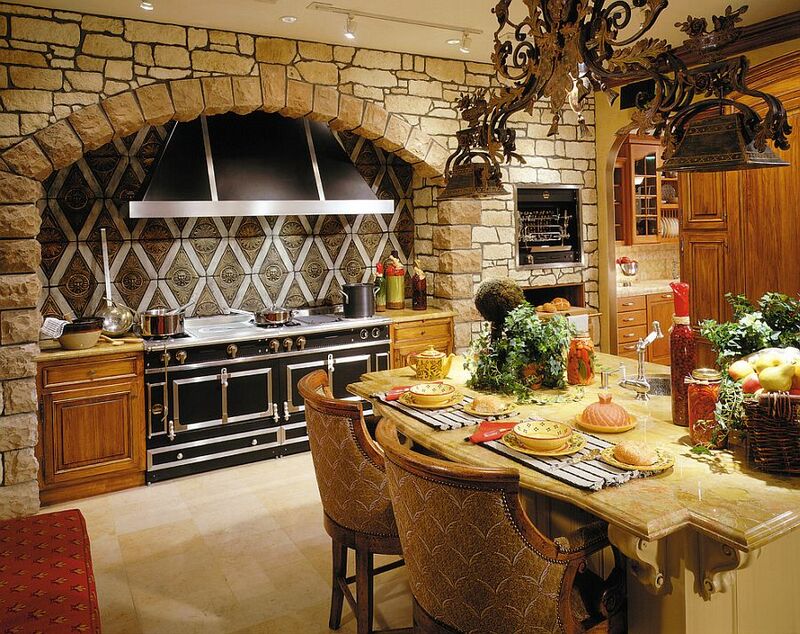 Here are two styles that you tend to automatically gravitate towards when thinking of ways to shape a kitchen with stone walls. 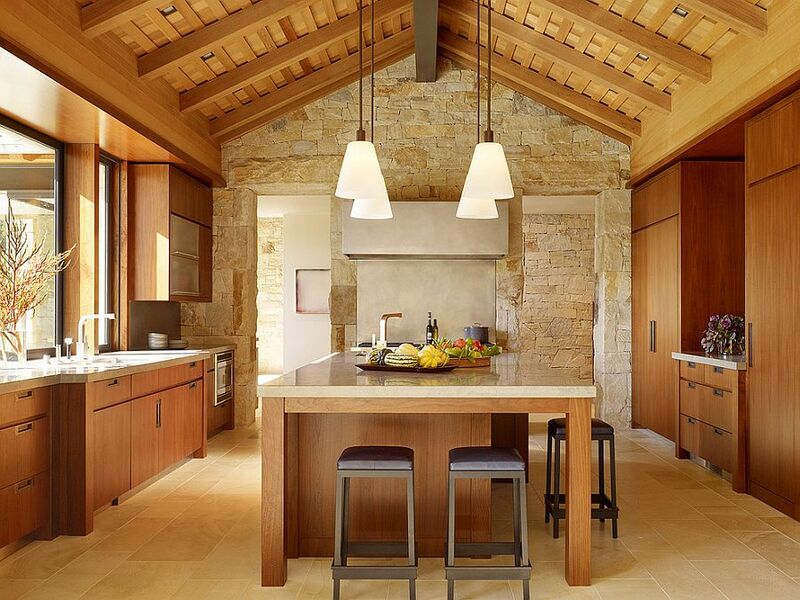 In these kitchens, the stone wall morphs from being an accent addition to a natural backdrop that enhances the style of the space. 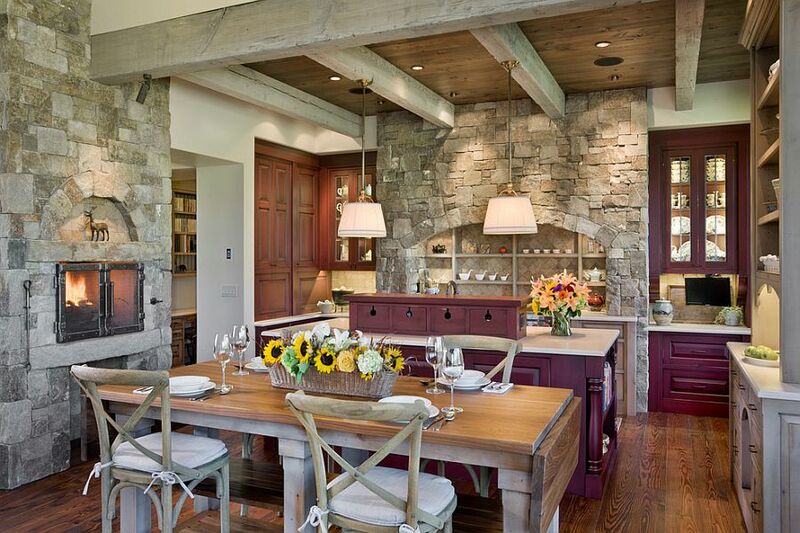 Stone walls with rougher finishes and a stacked look fit in better with rustic style, while the farmhouse kitchen benefits from a background that is clad in warmer hues. 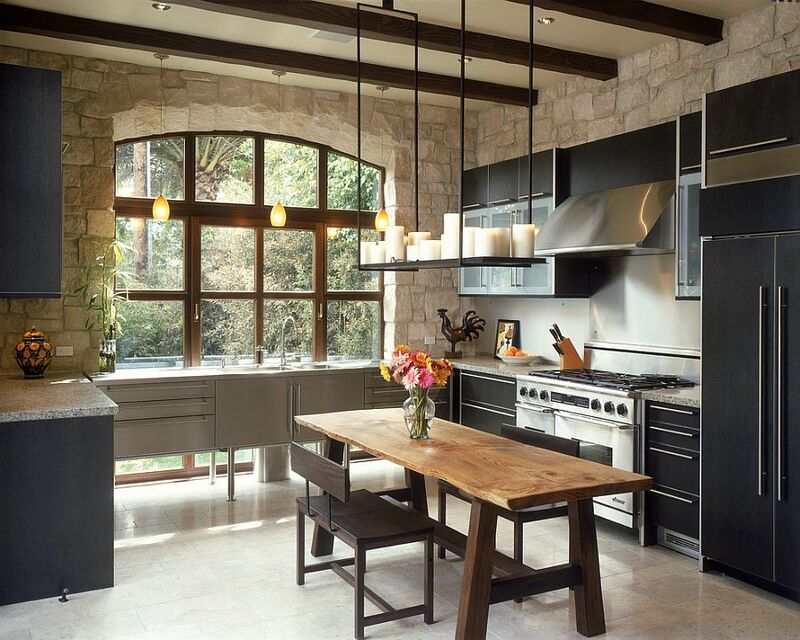 The stone you pick here is absolutely vital, as it not only defines the style and color scheme of the kitchen, but also dictates how dark or light the entire space feels visually. 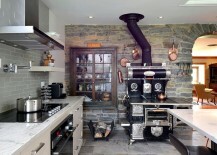 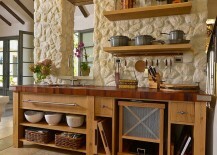 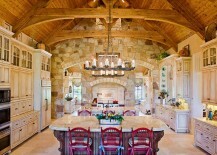 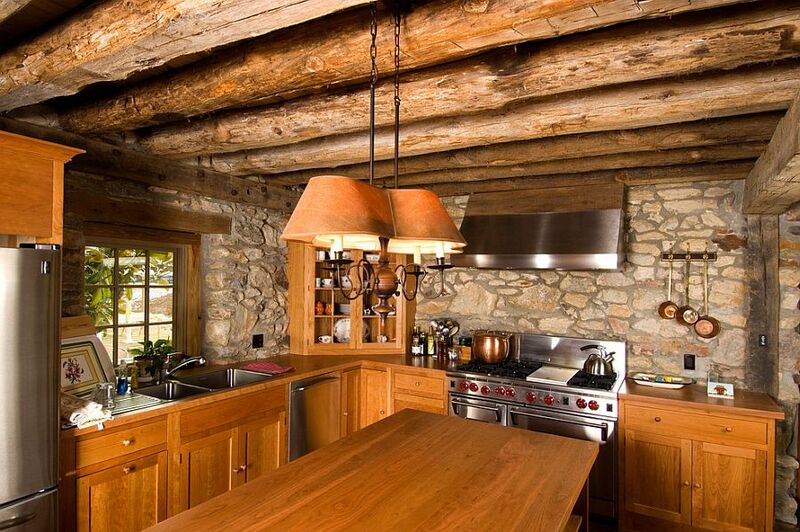 Wood and stone is a duo that always comes up trump in both rustic and farmhouse kitchens. 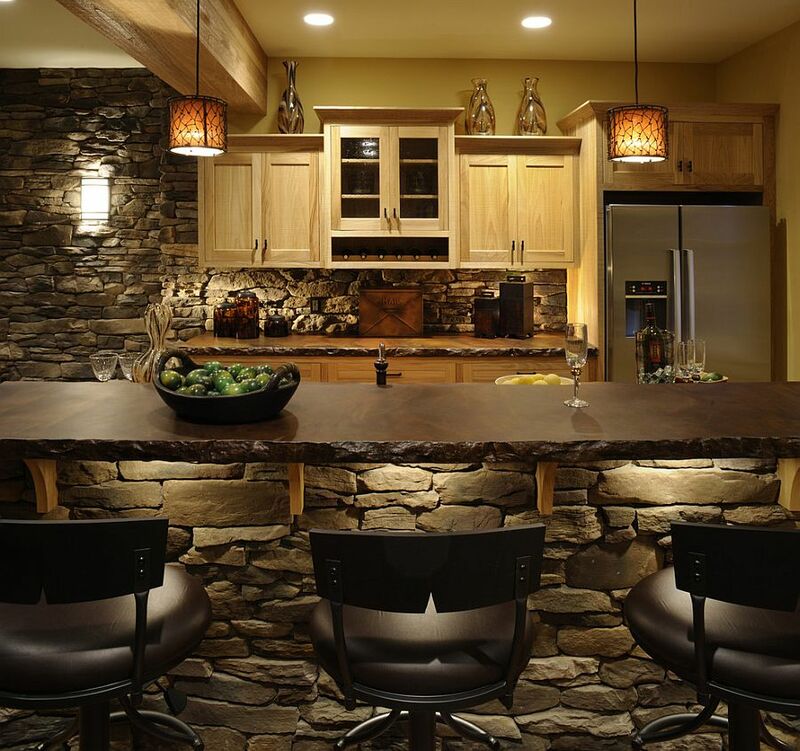 The style of your wooden cabinets, kitchen island, bar stools and open shelves will most likely create the mood inside the kitchen rather than the stone wall background itself. 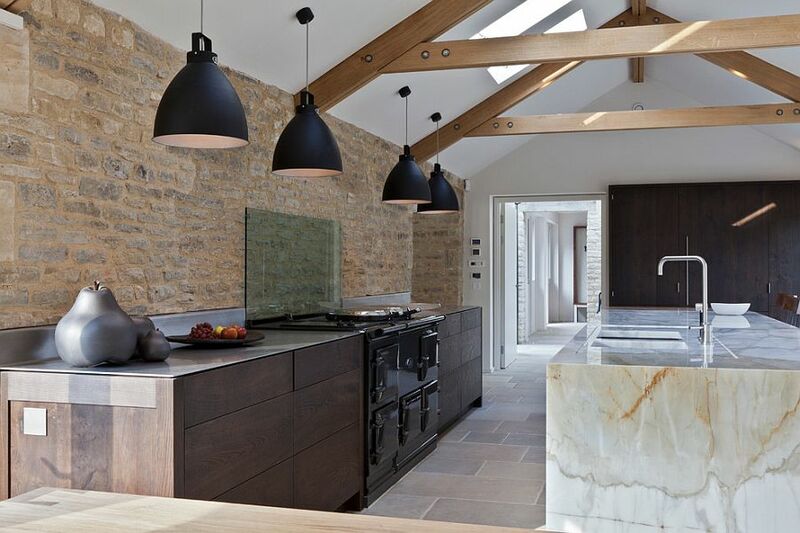 As a general rule though, the darker the natural stone you choose, the lighter its wooden counterpart should be to provide the perfect balance! 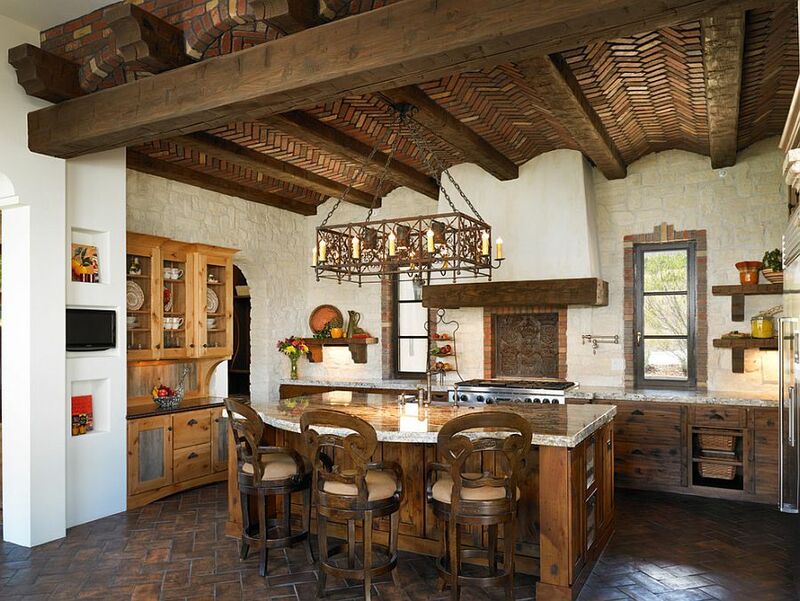 Exposed ceiling beams, dark wood tones, a warm, inviting hue and of course plenty of texture; the Mediterranean kitchen is a world that draws you in with its sheer magnetism. 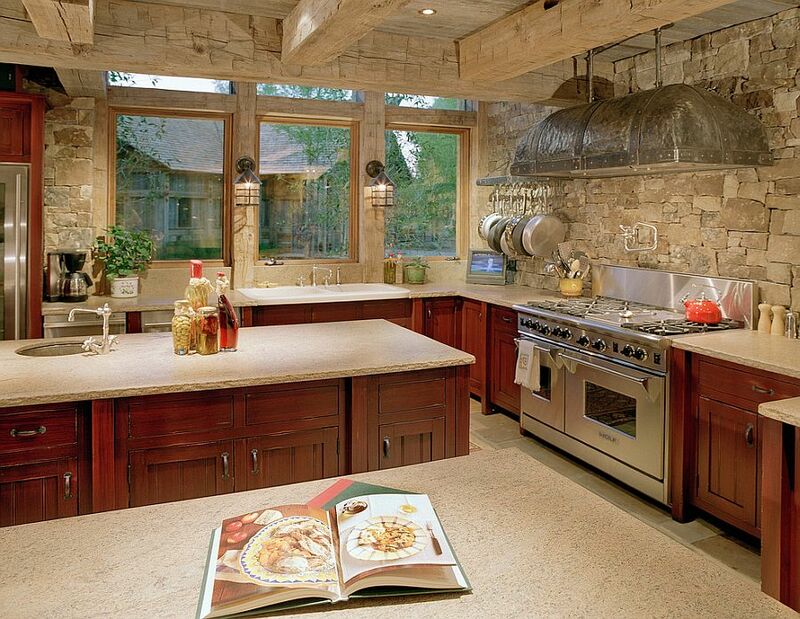 A beautiful Mediterranean kitchen with stone walls is the perfect family zone where one can escape the rush of daily life, relax and catch up with everyone else while digging into some tasty snacks! 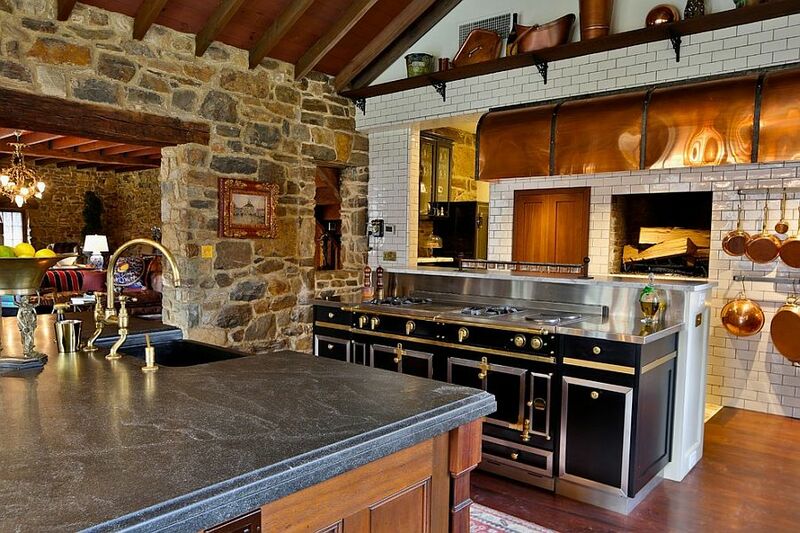 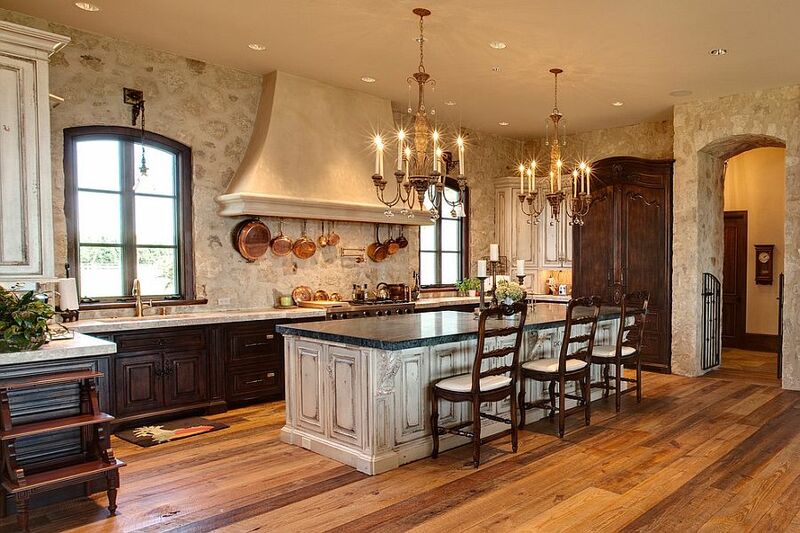 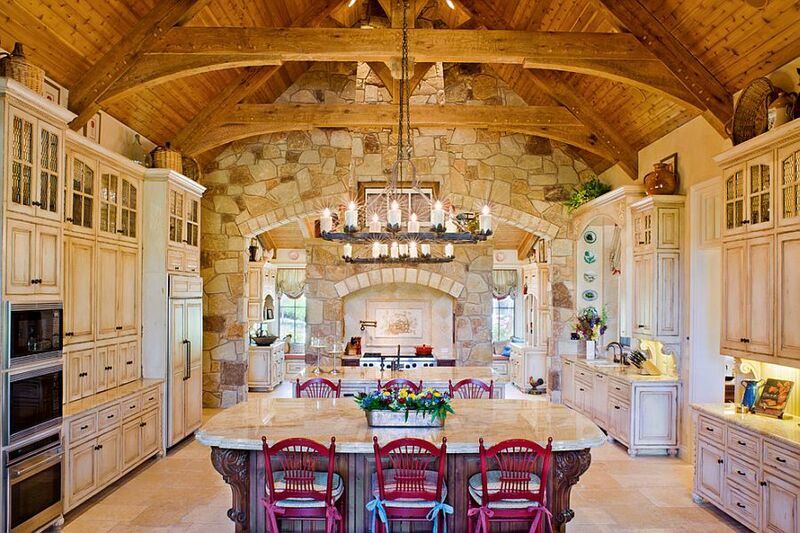 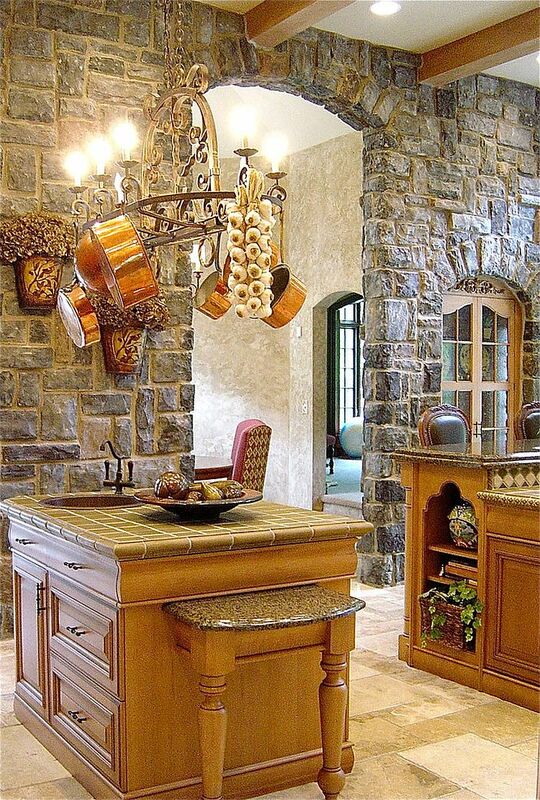 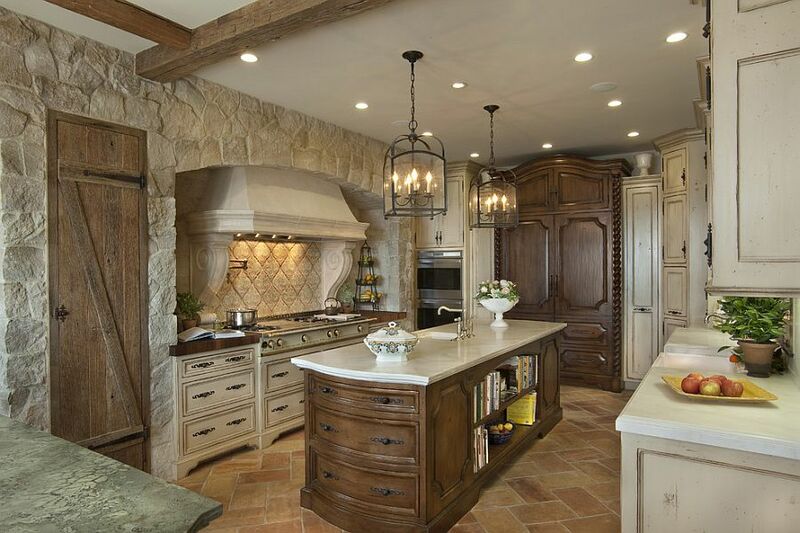 Classic in every sense of the word, this is a style that lends itself perfectly to the presence of stone walls and is quickly becoming the most favored choice among homeowners who want an exotic yet exquisite kitchen renovation. 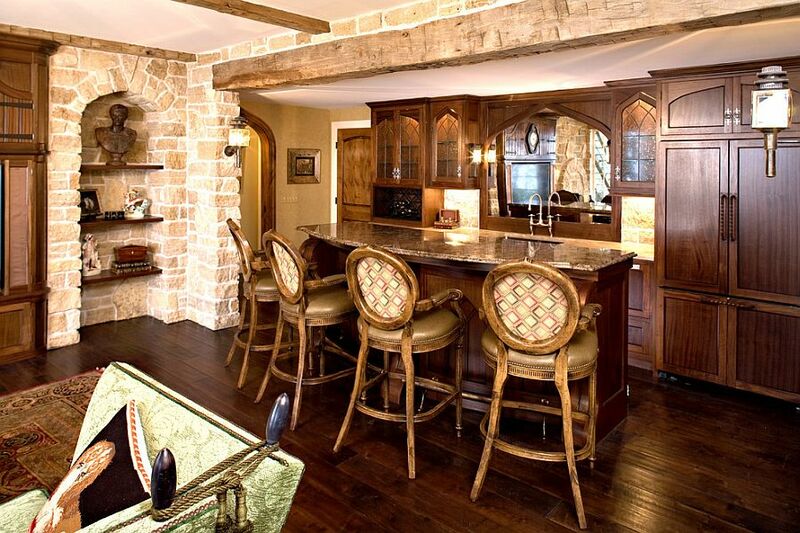 Using just one stone wall as an accent addition in the room or incorporating a little architectural feature in stone allows you to enjoy the elegance of the stone wall without altering the modern vibe of the kitchen drastically. 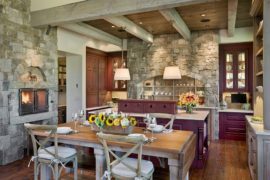 Those not blessed with a natural stone wall (many of us fall into this category) can turn to stone veneer for an inexpensive and far less intrusive alternative.